This photo is taken at the end of George St. looking up towards the High Street. Today, you would have the ploughman hall and recreation ground on your right. The pub on the end (Rose and Crown) is still there today, although substantially altered and no longer a pub. The large building further up is the Baptist Chapel which was opposite the Baptist Tabernacle – both by location and some religious views! But the engaging thing in the photo are the two very separate groups of people. 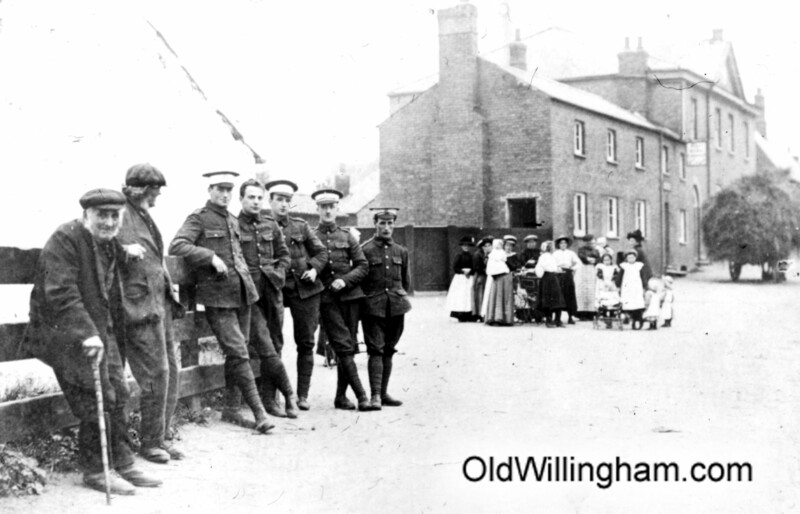 In the foreground, five young soldiers with a couple of old fellows from the village. At a safe distance a large group of women and children. We can only wonder now at what was going on in this picture.